Exercise and Aging: Can You Beat Father Time? 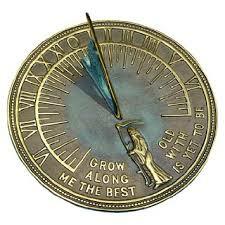 Time marches on, and all of us experience physical changes that cannot be reversed. Chronological aging, also called primary aging, appears to be inevitable. But as a wise person once said, it is not the years in your life that count, but the life in your years. Physiologically, you can take measures to slow secondary aging and reduce disease and frailty while improving your quality of life. Exercise makes all the difference. Regular vigorous exercise has been shown to improve cardiovascular and digestive health. It reduces the risks of hypertension, diabetes, heart disease, dyslipidemia and atherosclerosis. Improved bone mineral density and increased muscle mass from exercise contribute to healthy joints that help prevent falls. Balance training can also reduce your risk of falls. With regular ongoing exercise, you lower your risk of obesity and improve your overall vigor. Exercise has been shown to be protective of mental health, reducing your risks of dementia and depression. Regular exercise can have a profound effect on your physical appearance. Strong balanced bones, joints and muscles from resistance training will give you an upright youthful posture and greater fluidity of movement. Regular flexibility exercises offset stiffness in muscles and joints, help prevent injury, and promote more efficient movement. Both resistance training and cardiovascular exercise increase oxygen flow to your skin and other vital organs, promoting healthy function and defying the force of gravity on soft tissue. While exercise is fundamental to a youthful vigorous body, poor nutrition can undermine all your hard work. Restricting your daily calories will prolong primary aging while reducing secondary aging. Eating nutrient-dense fresh whole foods and steering clear of chemical-laden processed food will help your digestive system function at optimal levels and provide essential nutrients needed for peak performance. When possible, choose organic food to reduce exposure to harmful cancer causing chemicals. 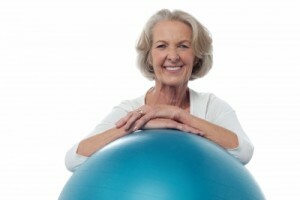 You can begin an exercise program at any age. If you are a novice, a fitness professional can coach you through the basics. If you have chronic medical conditions, inform your health care provider of your intentions to begin an exercise program. Be aware that some medications may cause side effects that limit your performance. Some drugs can interfere with balance, putting you at higher risk for falling during exercise. 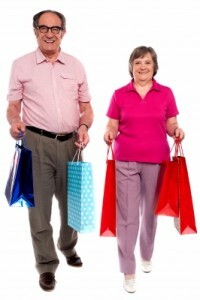 Working with older adults can be gratifying and financially rewarding. However, before you take on an older client, be sure you are equipped to deal with the many physical changes associated with aging. W.I.T.S. has got you covered with many courses that address aging, including Older Adult Specialist Certification, Older Adult Fitness Foundations, Certified Personal Trainer and Able Bodies Balance Training, all available online. Rowland, TW (2010). The Athlete’s Clock. Human Kinetics, Champagne, IL. 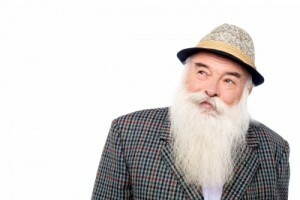 Next post: Training Older Adults: Do You Have What It Takes?